LA based dispensary chain MedMen is attempting to go mainstream and attract a different type of clientele with a bold new ad campaign. 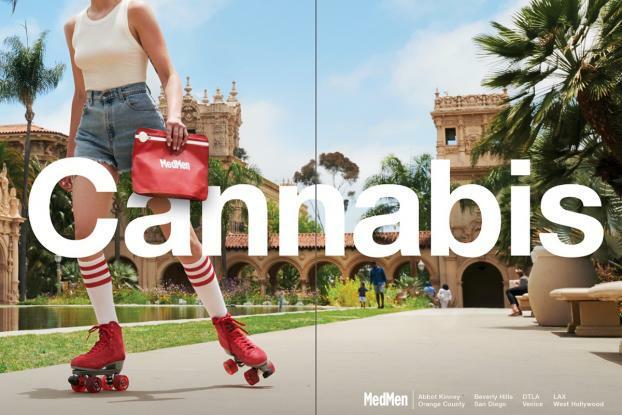 LA based dispensary chain MedMen is attempting to bring cannabis into the mainstream with a brand new ad campaign that started this month, AdWeek reports. MedMen, which has been referred to as the “Apple store of weed” wants to dispel popular stereotypes about cannabis and attract a higher end clientele by appealing to a broader range of people in its advertising. Dancer wants to above all else, show that MedMen products can be found in or around LA’s poshest suburbs. Using cannabis is not for the stereotypical stoner any longer. This move represents a growing trend in the world of cannabis advertising. Dispensaries and other such cannabis companies are severely restricted in the advertising that they can get away with, especially in California, which once tried to ban clothing that advertised cannabis. You will see more of this advertising, especially as cannabis use becomes more of a normie thing. This may annoy some people, but it’s probably one of the best decisions a cannabis company can make. Will this move pay off for MedMen? Do you see other cannabusinesses doing the same? Tell us in the comments!